Tyrone McKenna is supremely confident he will stop Phil Sutcliffe Jr on June 30 and thus prove himself Ireland’s best super-lightweight. ‘The Mighty Celt’ (16-0-1-KO6) brings an unbeaten record and home advantage to Belfast’s SSE Arena on the undercard of Michael Conlan’s long-awaited homecoming fight. Sutcliffe Jr and his supporters, meanwhile, will make a delayed journey north from Dublin. 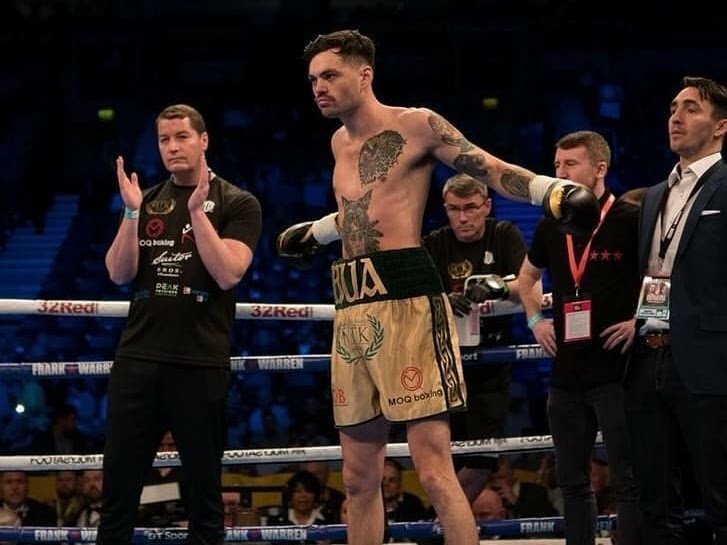 The pair had been due to clash on the Carl Frampton v Nonito Donaire bill in April only for Sutcliffe Jr to suffer injury and this time, McKenna is determined to finally confirm his status as the best 140lb fighter in the land. McKenna said: “I think I’ll stop him. I believe in my ability and everything we do training-wise. He’ll give a good go the first two rounds but the way he fights suits me down to the ground. “Phil likes to think he’s the best in the country. He’s voiced that over and over again. I feel the same about myself and that’s what has the people so excited about this fight. “There’s always been a rivalry between Belfast and Dublin and there’s always going to be. It went on between us in the amateur days and now it’s carried on into the professional ranks. A mouthwatering card also features an all-Dublin rematch between world-ranked super-featherweight Jono Carroll and Declan Geraghty plus Tyrone McCullagh v Joe Ham, Johnny Coyle v Lewis Benson and Paddy Gallagher v Gary Corcoran. #TheConlanRevolution will be screened live on BT Sport.